LTSC has raised over 50% of goal for $23M capital campaign. 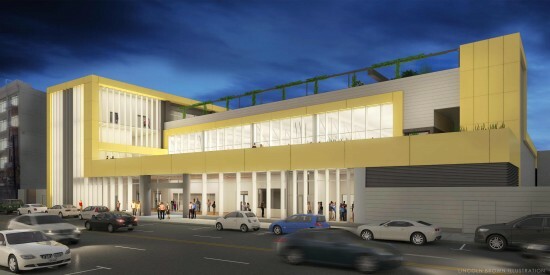 At the monthly Little Tokyo Community Council (LTCC) meeting on Nov. 25, the Little Tokyo Service Center (LTSC) unveils the final version of the new design for the Budokan project, a multi-purpose sports and activities center to be located at 237-249 S. Los Angeles St., between Second and Third Streets. • Gymnasium and support space, 31,000 sq.ft. • Mezzanine and terrace, 9,000 sq.ft. 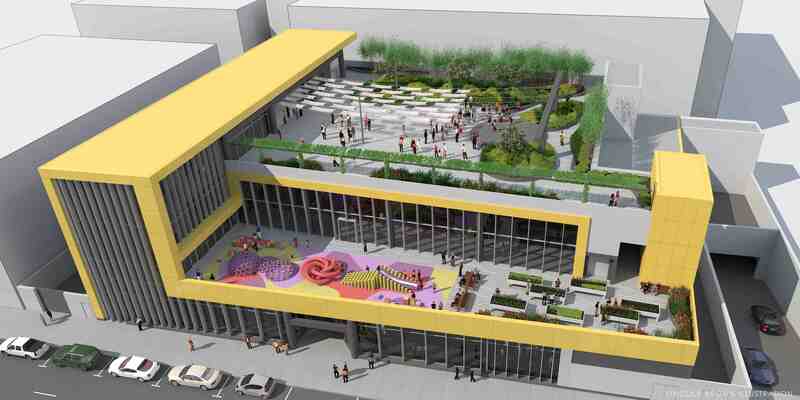 • Rooftop park, 18,000 sq.ft. • Parking (64 spaces), 31,000 sq.ft. LTSC is working with Gruen Associates, who will serve as the executive architect for the project. The Budokan project will consist of an 89,000-square-foot facility that will include a gymnasium, mezzanine, community space and a rooftop park and will feature an array of sports (basketball, volleyball and martial arts), after-school programs, special events, tournaments, and programming for all ages. Since the launching of the capital campaign back in August 2011, LTSC has made significant strides with the project. After submitting its application to the Los Angeles Department of Planning last August, the Budokan project is about to receive final approval and complete the entitlement process (end of November). Capital Campaign, the team has now amassed just under $13 million or just over half of the campaign goal. Funding has mainly come through public sector sources (federal, state, county and city), which include notable funding from the California Department of Parks Recreation/Proposition 84 ($5 million), City of Los Angeles/Proposition K ($250,000 and $1.3 million), and Los Angeles County/Proposition A ($1 million). LTSC has also received a letter of interest from a potential funder to complete the final 20 percent of the campaign (approximately $5 million). With approximately 50 percent committed and the final 20 percent identified for the back end of the campaign, LTSC is currently working to put together the final 30 percent over the next year and half. LTSC will look to target the rest of the funding through additional public sector funds, foundation grants, and a large-scale grassroots campaign that will target individual donors on all levels. It is anticipated that LTSC will complete its fundraising effort by mid-2016 and target a groundbreaking in fall of 2016, with an estimated construction timeframe of 16 to 18 months. A gra opening is anticipated to take place in 2018.